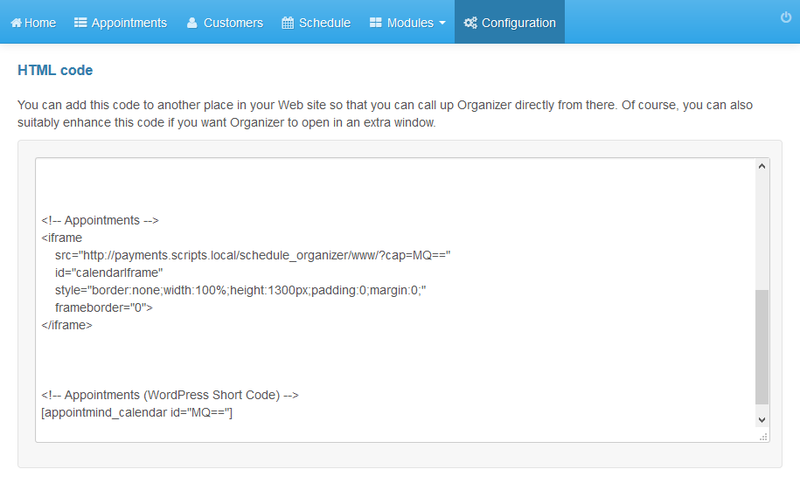 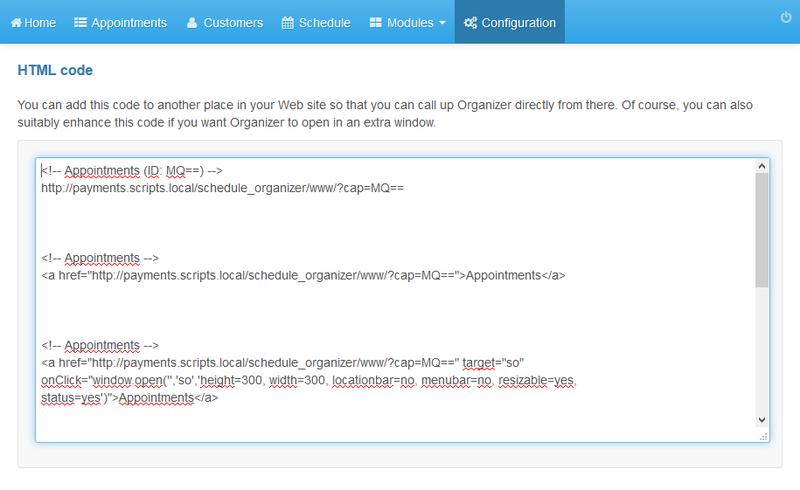 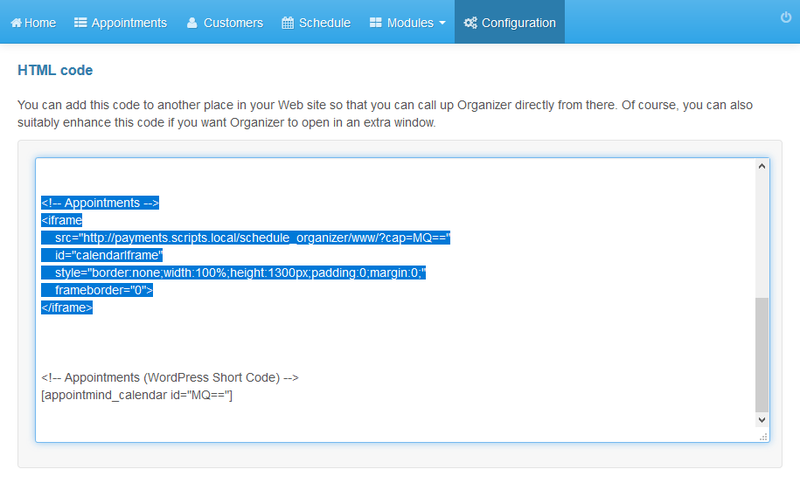 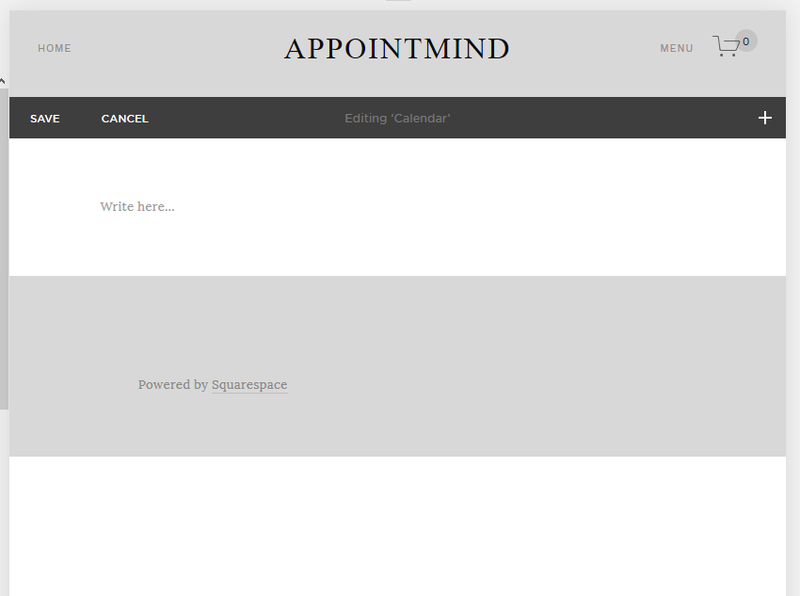 The instructions below show you how to embed the scheduler in your Squarespace website. 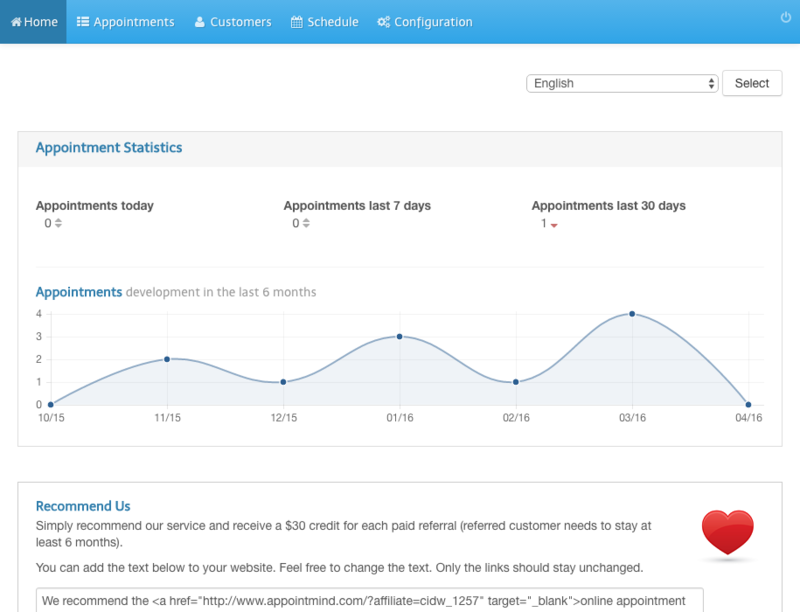 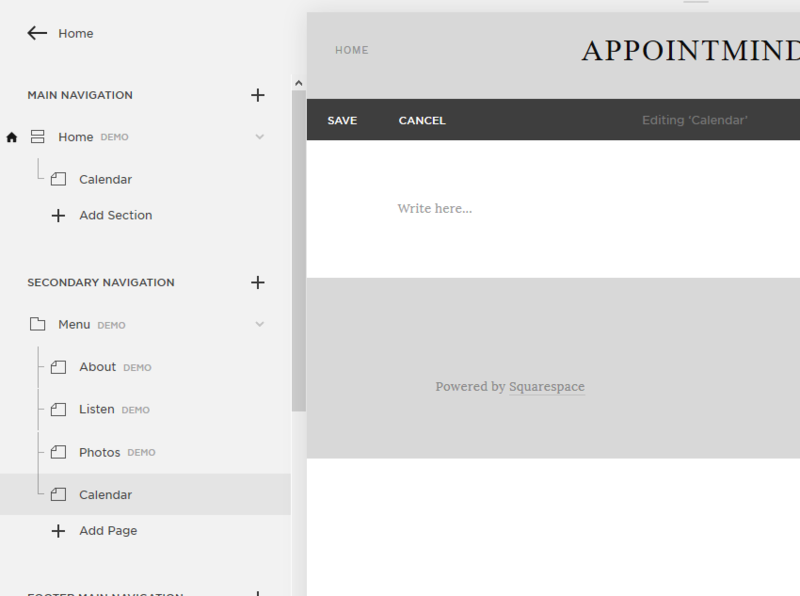 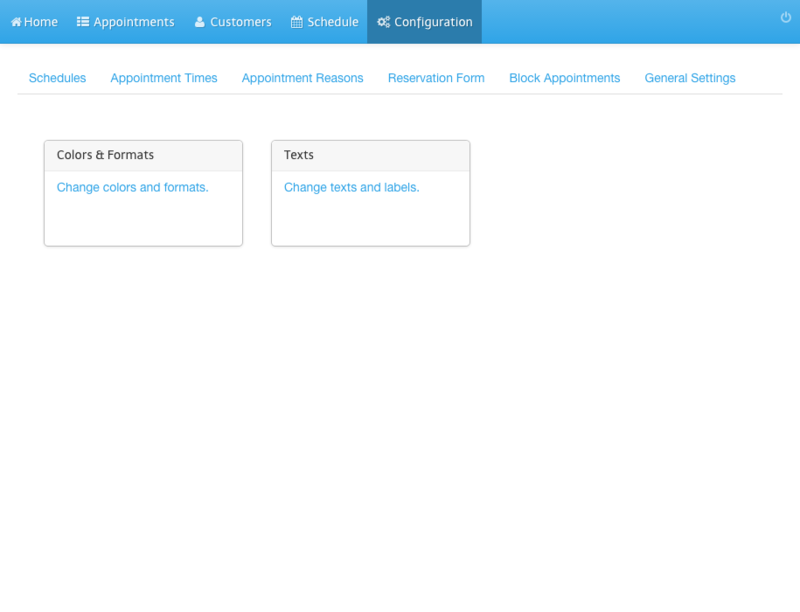 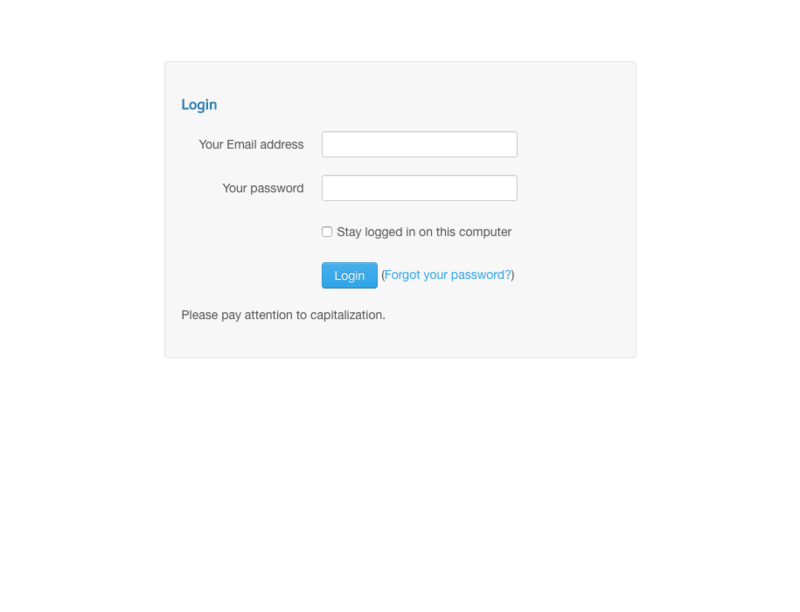 Login to Sqarespace and edit a page. 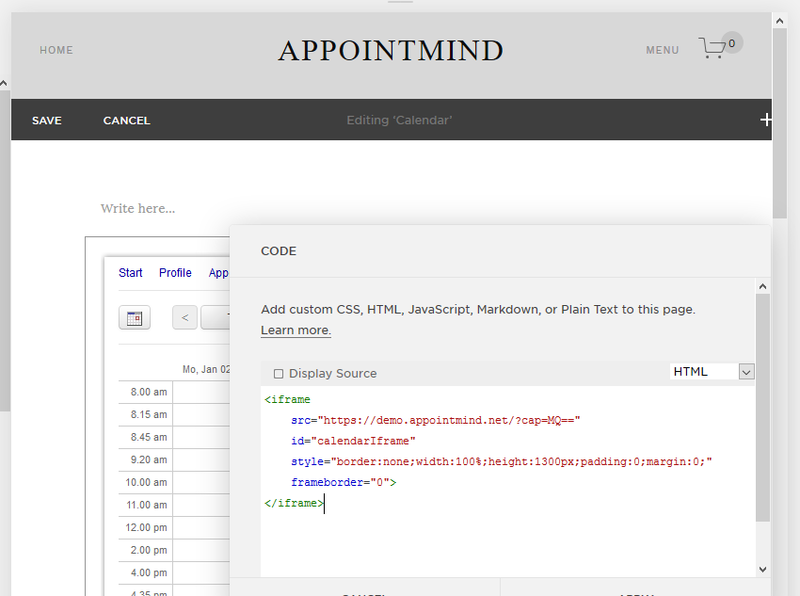 Click the plus sign in order to open the elements menu. 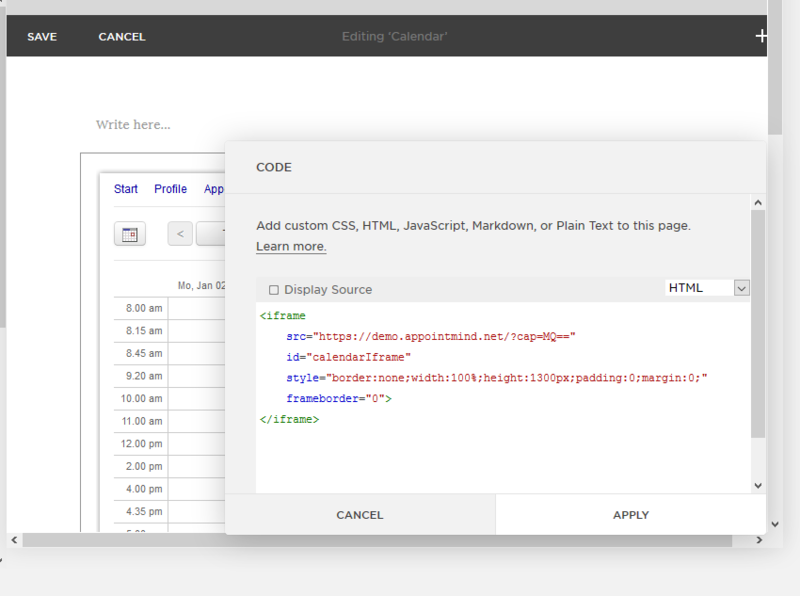 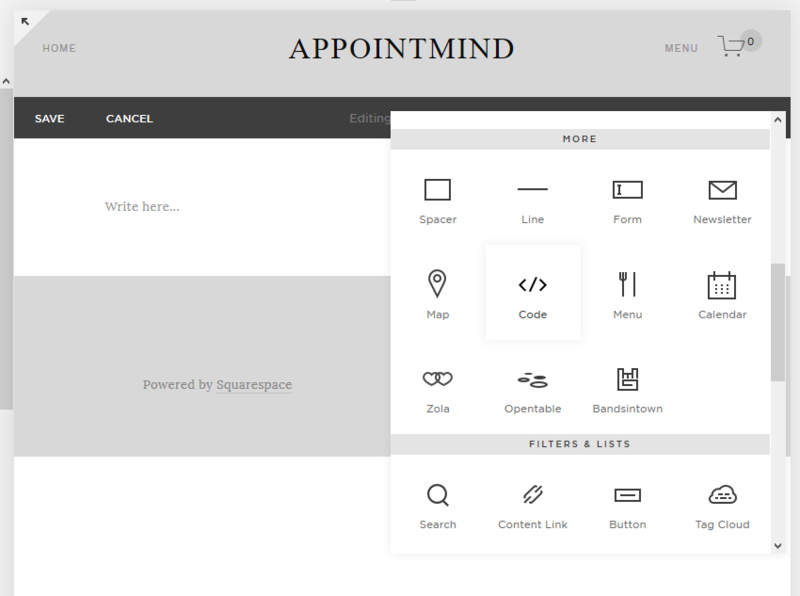 Paste the code to the code field in Squarespace. 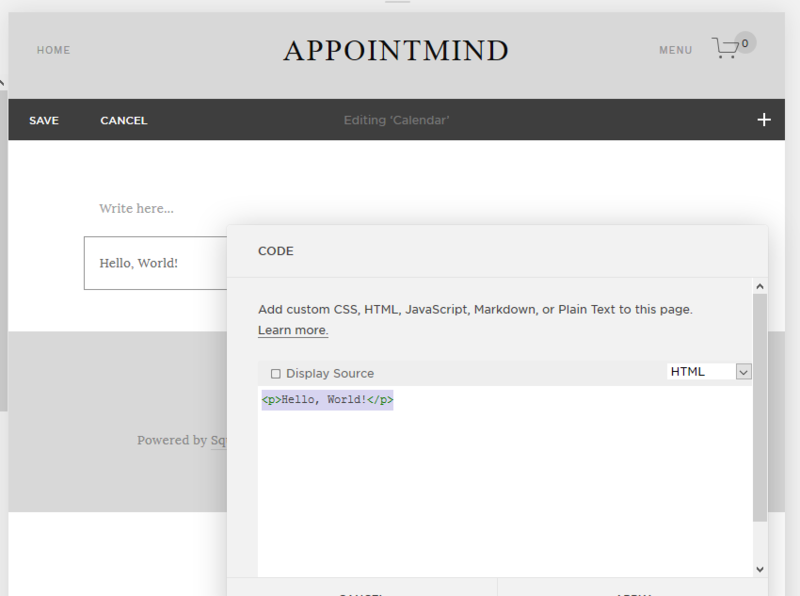 Click Apply in order to save the changes.